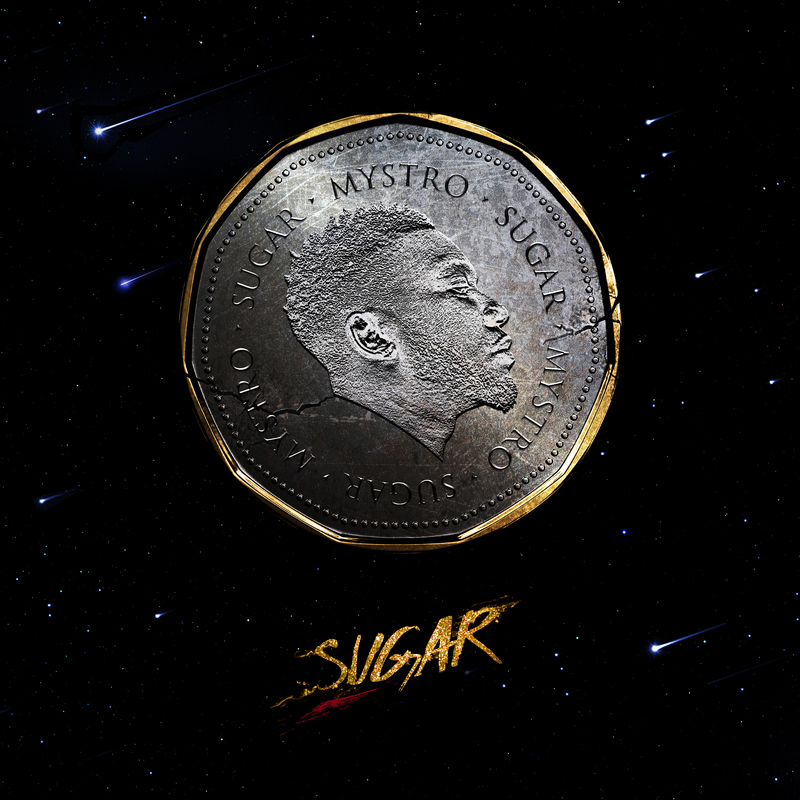 Mystro’s debut project, “Sugar”, is finally here. 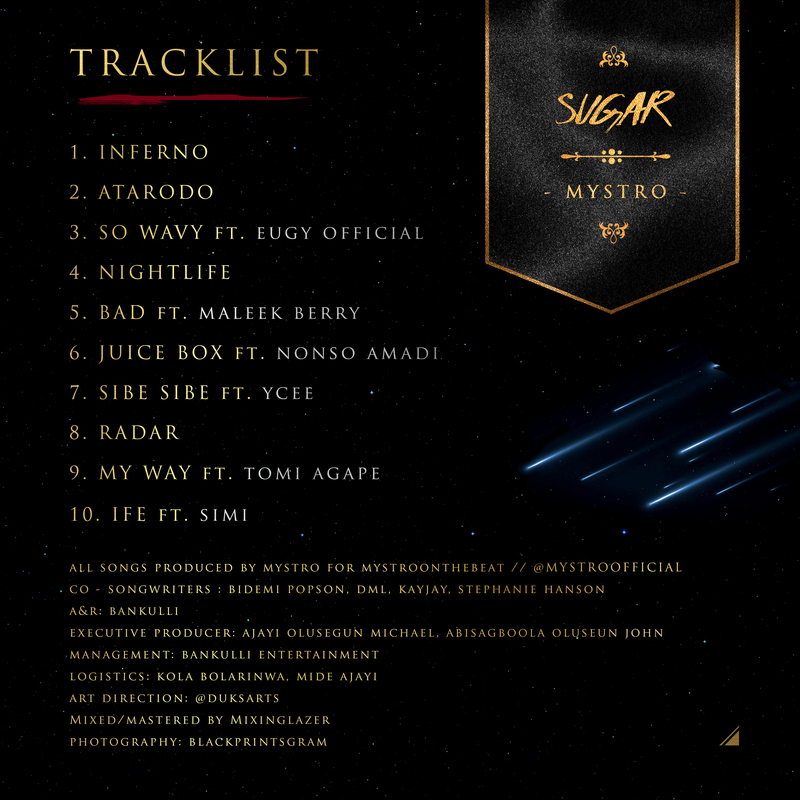 Released Friday, February 16, under Bankulli Entertainment, “Sugar” spans 10-tracks and contains contributions Maleek Berry, Ycee, Simi, Nonso Amadi, Eugy Official and Tomi Agape. “Sugar” is fully produced by Mystro himself. Among that material, is ‘Atarodo’ a single that was released December of last year, and features a groovy percussion intro, which defines much of the music on the project. Blended with love-powered lyrics that Mystro says was inspired by all the beautiful women in Africa, ‘Atarodo’ gave us a window into the direction of Mystro’s music and the new material that he’s worked on in the past year. 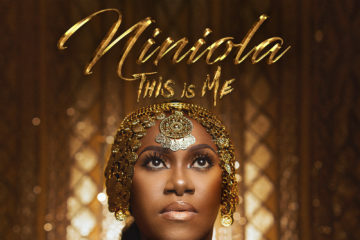 It’s a bouncy, melodious love number, with impeccable romance blended with culture from Lagos, his home city in Nigeria. Mystro grew up immersing himself on the pop influences from around the world, but “Sugar” finds the multi-instrumentalist experimenting and stepping out with a variety of sounds, ranging from the soft, adaptable sounds, to the stark stimulating party grooves, which project a period of growth and creativity. 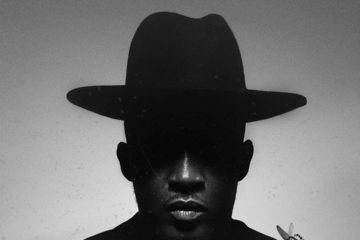 Mystro cites the dominant Afrobeats movement in the UK as an inspiration for this project. 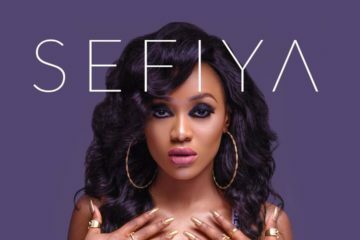 A standout track, ‘Bad’ which features Afrobeats royalty, Maleek Berry, is a bouncy, party starter that feels like it belongs to every party playlist. The two feed off their energy, describing the ‘baddest’ woman they have ever met.’ juice box’ is a mid – tempo groovy love song , features Nigeria raving singer Nonso Amadi with a piano ambient permeating the instrumentals as Mystro sings about the love of his life. 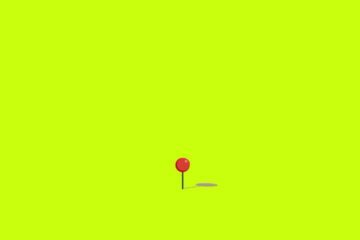 Injected with smooth singing too from Nonso Amadi, it is a fine blend of two gifted singers , spreading love and channeling all the best feelings for love season . 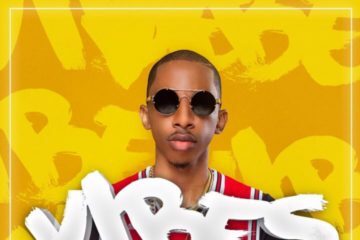 Elsewhere, ‘Ife’ his collaboration with Simi, is syrupy Afro-fusion carries the emotion and heart-tugging songwriting and delivery, that has defined Mystro’s art and thrust him into the spotlight.